For the 13th year in a row, Stop the Wall and the Land Defense Coalition in collaboration with the Palestinian Farmers Union have conducted the “You Are Not Alone” campaign, the collective voluntary efforts to support Palestinian farmers during the olive harvest against Israeli aggression and land confiscation. 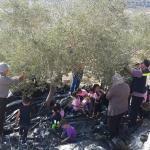 From October 10th to November 10th, the Palestinian Grassroots Anti-Apartheid Wall Campaign, the Palestinian Farmers Union and the Land Defense Coalition along with different organizations such as the Palestinian Agricultural Relief Committees, the Women’s Development Center Association, the General Federation of the New Unions, the Jadayel Center and the Palestinian Youth Forum have organized central voluntary olive picking days in three areas close to the wall: in Ni’lin (west of Ramallah), Deir Istia (north-west of Salfit) and Wadi Foquin (west of Bethlehem). 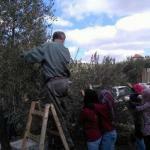 Other olive picking days took place in Nazleh As-Sharqieh (north of Tulkarem) and Anabta (east of Tulkarem). 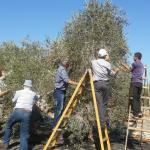 These events are part of a wider campaign that supports the farmers during the olive harvest season and which has been ongoing every year for more than a decade. Once again several international delegations from Barcelona and Britain and international solidarity committees from different countries took part in these events. 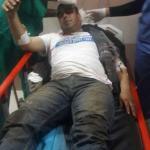 Settlers attacked several times under the protection of the Israeli army. 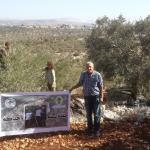 Stop the Wall has documented their attacks throughout the West Bank, where the olive harvest was taking place. 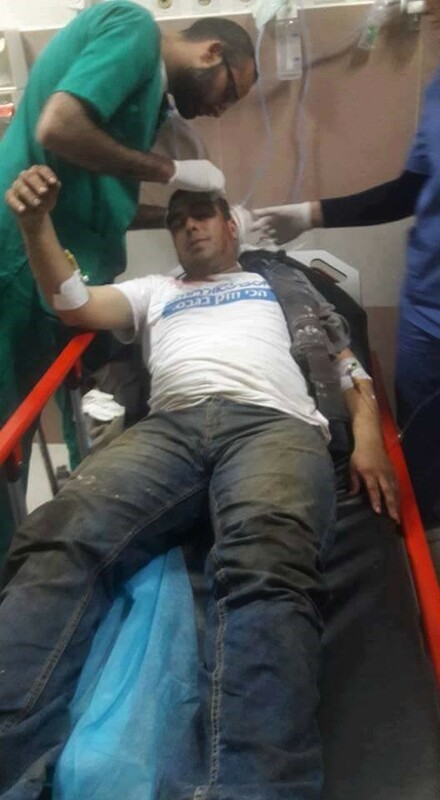 ONe of the most dramatic attack happened on Saturday November 5, when 20 settlers attacked a family from Aljanya village, west of Ramallah, in their land. 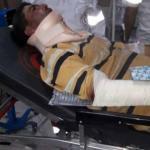 Three members of the family were seriously injured and two of them are still in the hospital. 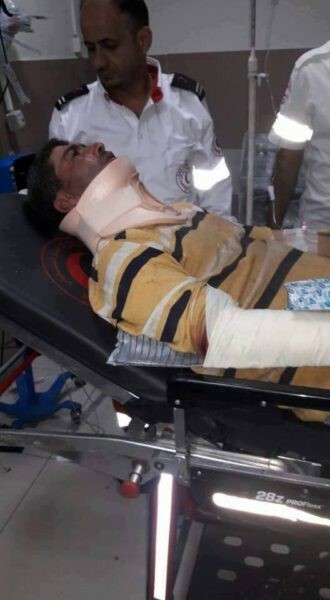 During the last two months several other attacks have been carried out by settlers against the farmers, especially in Bourin, Qaryout, Asera, Salfeet and Aljanya west of Ramallah. 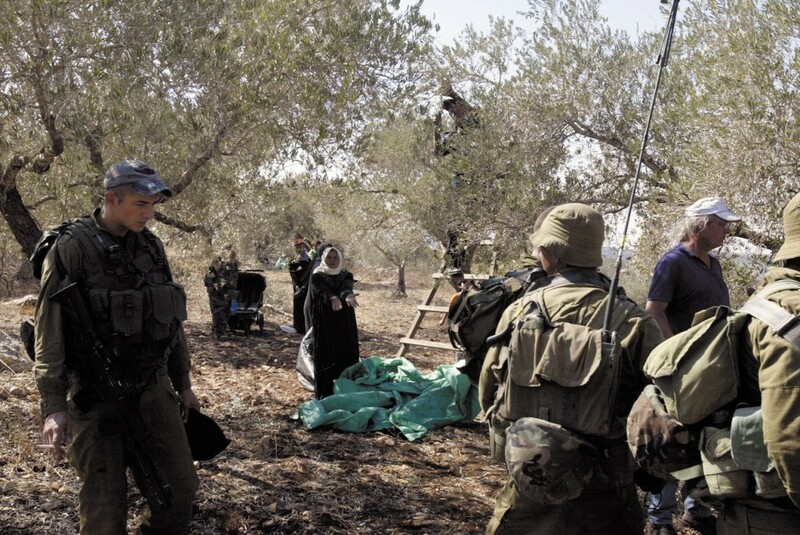 In October settlers and the Israeli military uprooted a total of 785 trees in Beit Ola and Kharas (Hebron district), Kufur Qaddoum (Qalqiliya district) and Silwad (Ramallah district). 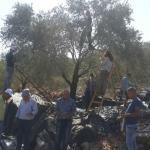 Due to the increasing attacks by settlers fomented by a state policy of intensified attempts to ethnically cleanse the Palestinian people from area C (60% of the West Bank), this year the Campaign has urged the farmers to pick their crops collectively, especially in areas near the apartheid Wall and settlements. 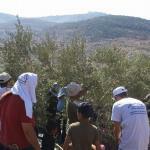 We have increased our calls for activists and volunteers to assist and protect our farmers from settlers’ attacks. 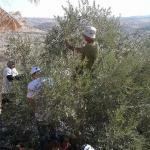 The Campaign “You Are Not Alone” was launched from Deir Istia, west Salfit, in a mass gathering for a day of volunteer olive picking. Around 120 volunteers from Salfit, Qalqilya and Tulkarem gathered on this day together with 18 international volunteers. They then went together to a piece of land for the action on which the Israeli illegal settlements are closing in and which is now isolated from the rest of the community by an Israeli bypass road. Stop the Wall has been since time active in organizing together with the local community demonstrations to reconnect that isolated piece of land to the village and to demand access beyond the highway which obstructs passage to the cultivated land. 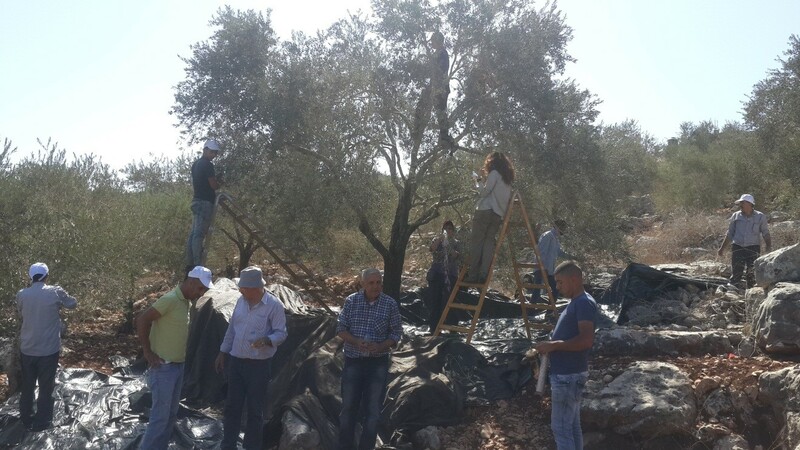 With great determination are the farmers keeping steadfast on their land and continue cultivating the fields even at times where they face vicious attacks by the Israeli army and the settlers. In Ni’lin, a voluntary day has been conducted with the participation of 20 foreign volunteers and 50 local volunteers from the village. The volunteers have been divided into different teams to help as many farmers as possible. Much of the lands of Ni'lin's farmers is now located close to the Wall. 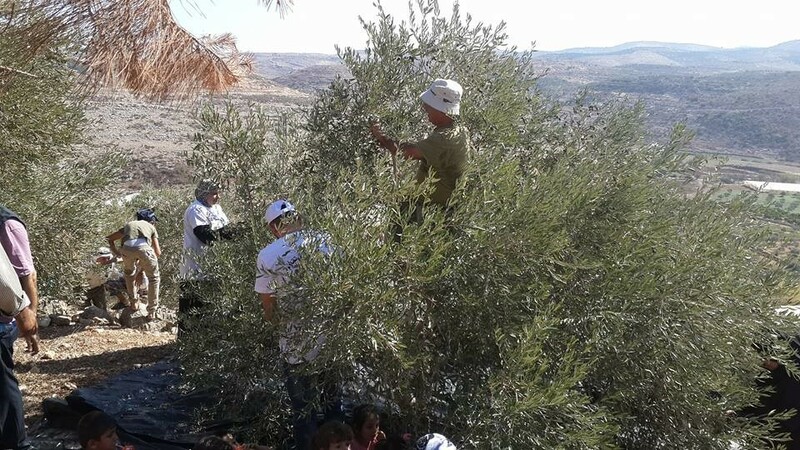 In Wadi Foquin, west of Bethlehem, 150 volunteers participated in the olive picking volunteer day in response to the call by the Stop the Wall's popular committees in the Bethlehem district and the Palestinian Youth Forum as well as volunteers from the Medical Relief Committees (UPMRC). Wadi Foquin is one of the villages that have been most impacted by the recent settlement expansion. It is surrounded on three sides by settlements. Settlers here let the sewage water coming from the settlements flow directly into the village’s cultivated lands, polluting the village’s primary source of water: a natural spring the village has been depending on for generations. The farmers felt relieved and supported, especially when beeing isolated and besieged in an ever tighter grip of Israeli colonization. 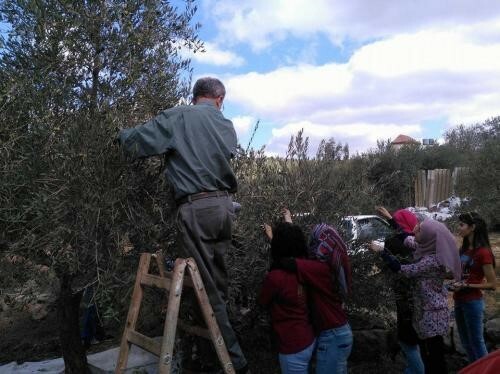 They also stressed the importance of such campaigns to stop the settlers from stealing their crops, cutting their olive trees and preventing the farmers from accessing their lands. 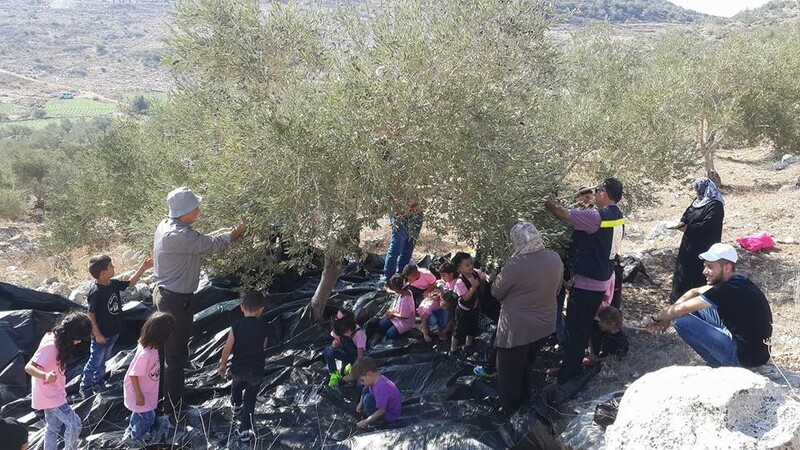 In Nazleh village, north of Tulkarem, a volunteering day has been organized to support the farmers and help them in the olive picking. Dozens of people from the village participated along with 25 international volunteers. 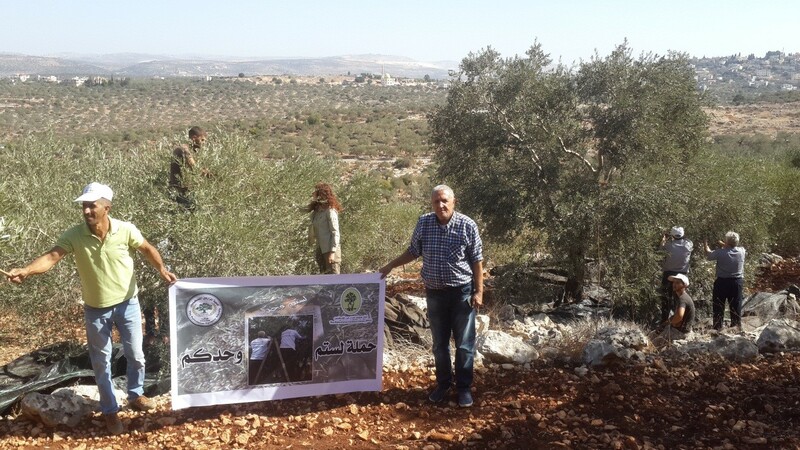 This village has been chosen because of its symbolic resistance to the settlements and to help farmers to resist and stay on their lands. Participants have stressed the importance of continuing activities of this kind, especially in the areas near the wall and the settlements. 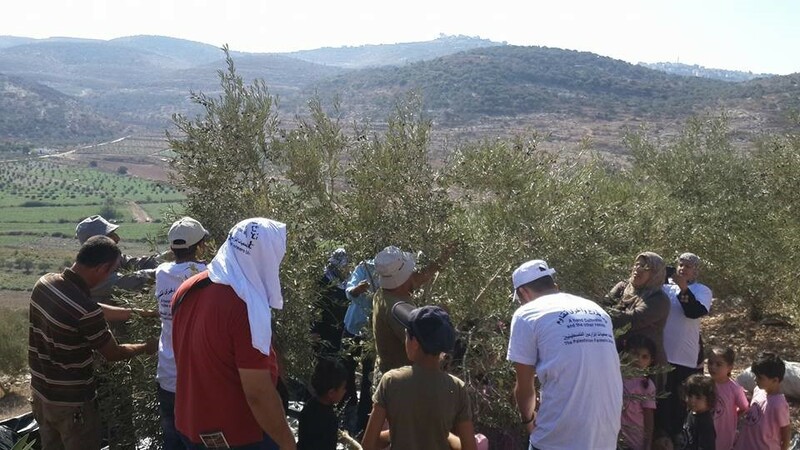 In Anabta, east of Tulkarem, another volunteering day has been organized to help the community picking their crops.